Don't let the coloring book fun end when the picture is completed! 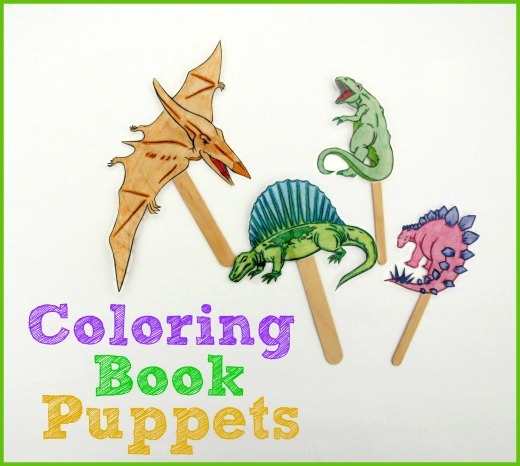 Extend the fun and add a healthy dose of creativity by turning finished coloring book pages into puppets. This craft and pretend play combo would make a wonderful boredom busting activity. I began by showing R a few coloring page puppets I had created for him the night before. He was very excited about his surprise and couldn't wait to make a few of his own. I did this to show him what the finished outcome would be, and to prepare him for cutting apart his masterpiece. Then I supplied him with a selection of coloring books and crayons and let him go wild. After he had a few pages completed, we carefully cut out the main characters. This actually kept his attention far longer than coloring usually does. You can keep it incredibly simple and just glue the craft sticks to the back of the cut out. This way works just fine, but the puppets are a little floppy. You could also attach the cut outs onto a piece of construction paper or card stock and cut it out again before attaching the craft sticks. This makes the puppets a bit stiffer. Or you could do it my favorite way. Laminate them. I love my laminator and it really is perfect for this. It makes the puppets stiff and durable so they are long lasting, and it doesn't add much extra time to the craft. Even with the lamination, we just used an ordinary glue stick to attach the craft sticks. Once the puppets were completed the creativity carried on. He really enjoyed putting on lots of little shows for me, and I really enjoyed listening to his stories evolve. Later that night, we all took turns performing for the family. 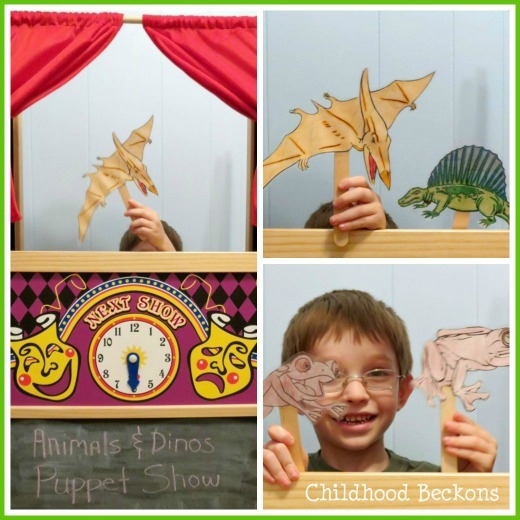 Do you want to encourage storytelling and pretend play with puppets? 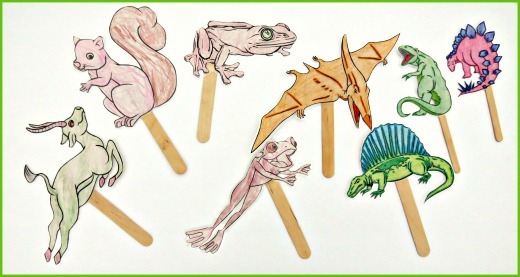 This activity is fantastic because you can really customize it to your child's interests. If you've recently walked down the coloring book aisle, I'm sure you've seen that the options are many. My son loves animals and dinosaurs, so that's what we created. 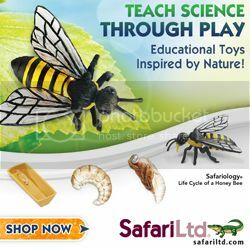 But if your child loves sea creatures, Batman, or My Little Pony, you can easily create an activity especially for them. What kind of puppets would your children love? This is a fabulous use for coloring pages! This is a great idea that adds a lot of creativity to appeal of pre-drawn coloring book pages. 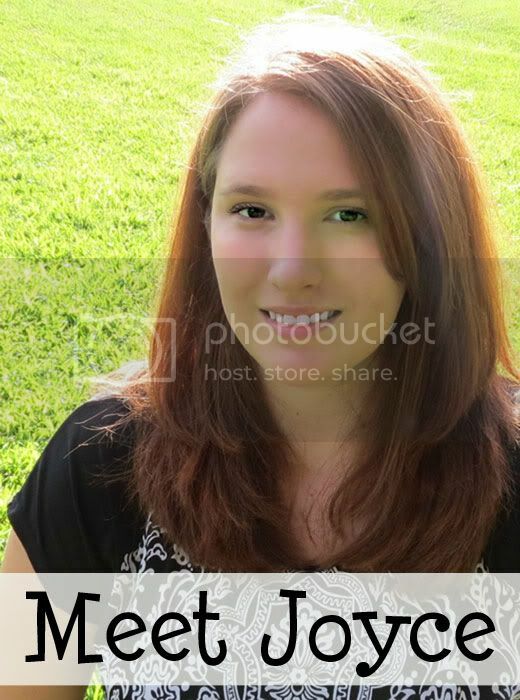 The next step is ad-libbing or writing a script and putting on a show! Making a puppet stage, or improvising one can add to the fun! This is great to do with history topics, too. I hope you all are doing well!